article inside, and speak on it…. Inside yesterday’s edition of The Sunday Times, they did a feature on their next Princess Diana. And apparently, they believe the parallels between pop diva Rihanna and the people’s Princess are spot on. 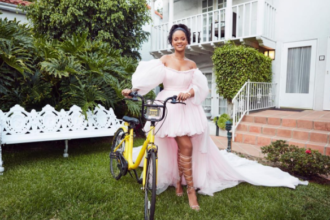 The publication ‘shopped a pic of Rihanna and Princess Di’s face together for the cover, and offered up why this comparison can be a good and a bad thing.